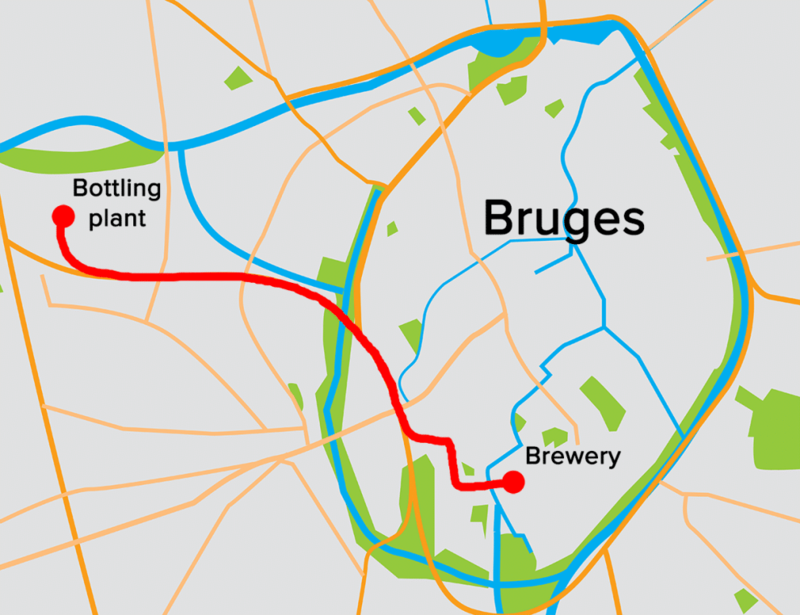 A beer pipeline transports beer between the Belgium brewery , De Halve Maan, or The Half Moon to the bottling facility. Remember when we wrote about the pipeline being built in Belgium with the purpose of transporting beer? Of course you remember because that story is awesome. Well, it’s now fully operational, and some lucky folks were able to tour the facilities. Read more about their tour of the Pipe of Dreams. It now seems perfectly reasonable to build pipelines from both Prairie Artisan Ales and Marshall Brewing Company straight to Sawyer headquarters. I can’t think of a good reason to not make this happen.